The Destination Terminal is an alternative way to set a time travel location. The Destination Terminal is automatically added to new TARDISes. You can destroy and place it at a new location by using the /tardis update terminal command. 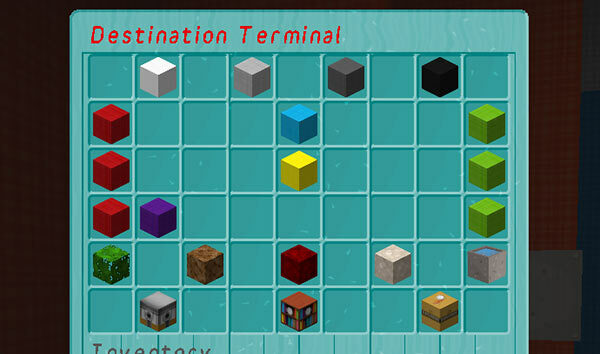 To use the Destination Terminal, right-click it to open the inventory based GUI. You will see a screen like the one below. The basic functions of the GUI are the same as when using the repeaters on the TARDIS console — you can set the x and z coordinates, a distance miltiplier, and a world type. The Destination Terminal also lets you select the TARDIS submarine mode for travelling under water. First row: Step levels — these control how much the x, z and multiplier values change.